Make the most of the superb location of your student accommodation and spend your free time exploring this beautiful city on the east coast of Australia. Sun yourself in a park by the river, go shopping in Queens Plaza or cycle over the river to South Bank and lose track of time in a vibrant entertainment and cultural hub. See modern art at GOMA then meet friends in the afternoon for a game of pinball and a craft beer at Saccharomyces Beer Café. You’ll have a tough time sampling all the superb food on offer in Brisbane. Start with the burgers at Miel Container and go from there. 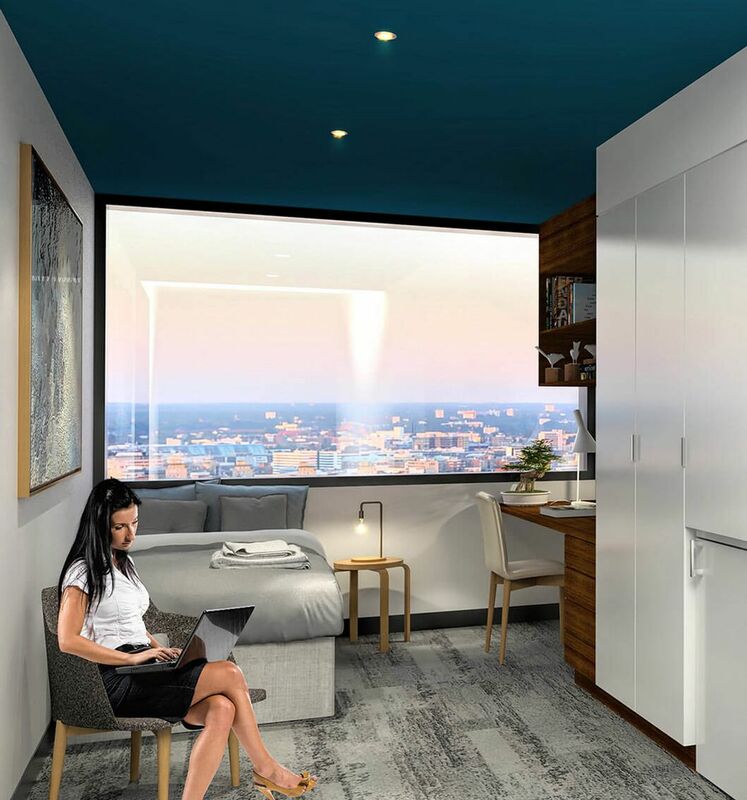 Live right in the heart of Brisbane’s Central Business District, or CBD, and you’ll be an easy walk, or short bus journey, from the city’s universities. 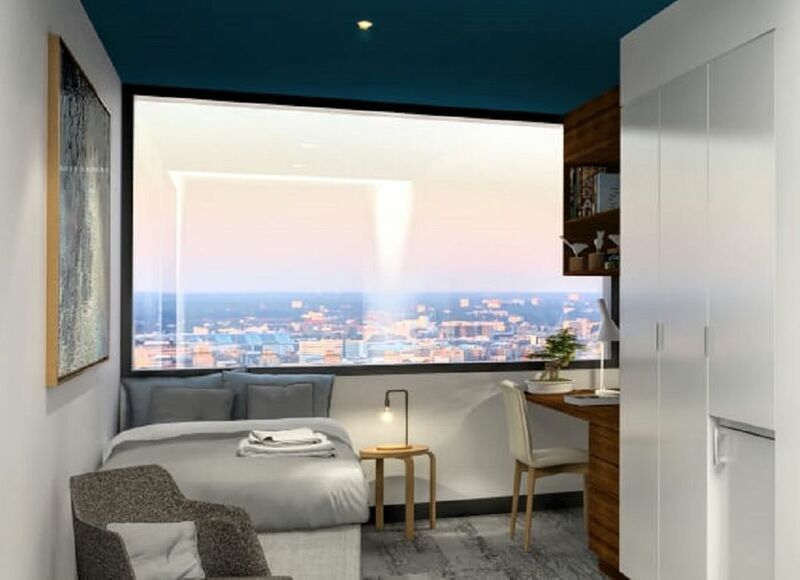 Sleep in and walk five minutes’ to James Cook University, or 10 minutes’ to Queensland University of Technology (QUT) or Central Queensland University, Brisbane (CQUniversity). The University of Queensland St Lucia campus is a 15-minute drive away, or around half an hour by bus. Walk out your door to find shopping centres, grocery stores, a medical centre and all the essentials right by your home. Walk to the train station in five minutes’ or drive 15 minutes’ to the airport if you want to explore further afield. Come home after class and grab a coffee and a sandwich from the café before heading inside and relaxing in the lounge. Spread out on the big sofa and chat with friends as you watch TV. When it’s time to get on with some work, return to your studio and sit down at the desk, arranging your text books and folders on the shelves above. There’s plenty of storage for all your things with a built-in wardrobe and a pantry above the fridge. Take a nap and prepare yourself for a night out on Brisbane’s buzzing Vulture Street. Wake up the next morning and look out of the huge window of your studio over the city. Use the shared bathrooms, kitchen and dining space whenever you need. Rest assured you’ll be in good hands with an on-site warden and secure building access. 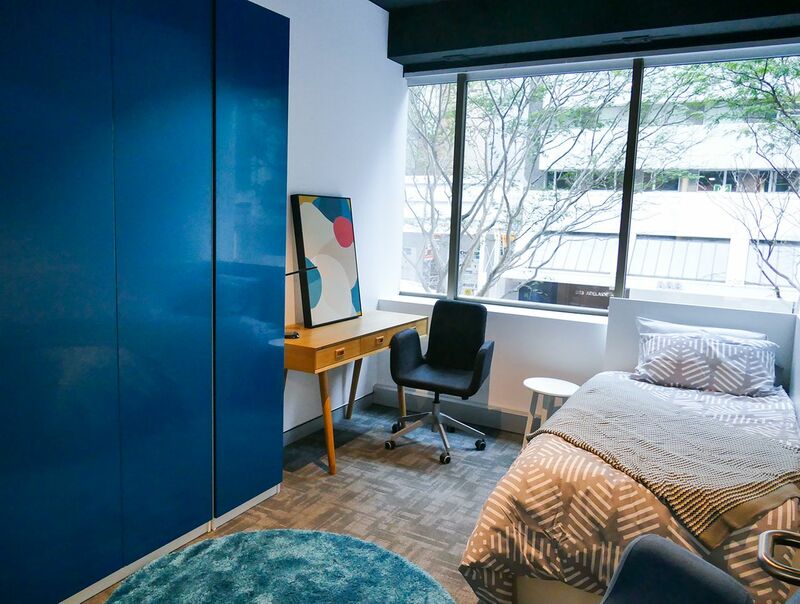 We couldn't find a room that matches your preferencesView all Private Room in PrecinQ Student Accommodation. 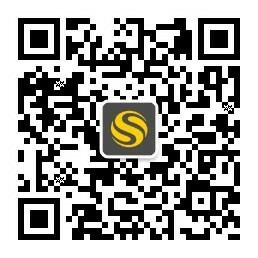 Free cancellation period 21 days before arrival. Process for cancellation - email notification and refund account details.